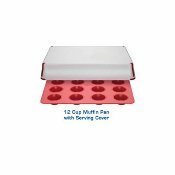 Muffin Pan comes with melamine cover that works perfect for cooking and serving. 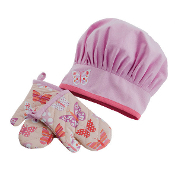 Butterly Children's Chef Set // Butterfly chef's mitt and chef's hat for your beautiful child! Includes 1 child size chef hat and 2 children's kitchen mitts. Great for macarons, decorating your cupcakes and filling choux pastry easily thanks to its 6 different nozzles. Healthy, nutritious desserts can be just minutes away with the Orka Fruit Cooker. Place whole fruit inside the premium silicone holder, cover, and place in the oven or microwave; fruit cooks in its own juices. 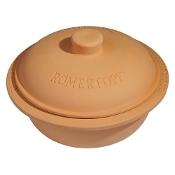 Pensofal Platino Bio-Ceramix Non-Stick Roaster 11-3/4" x 8" Pensofal Platino Bio-Ceramix Non-Stick Roaster 13-3/4" x 10"
Römertopf Round Large Baker // This Roemertopf Round baker serves 6-8 people, measures 12.5"D x 7"H. The bottom pot is glazed for easy cleaning and the top is unglazed to allow moisture to cook into food. The... Makes 6 Jumbo sized Muffins or other specialty dishes you may have. 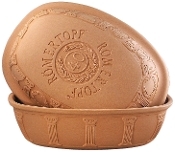 Cake Pan with melamine cover. Perfect for keeping that cake fresh. The 5 inch Better Baker Edible Bowl Maker will create appetizers, desserts and meals using an edible bowl. 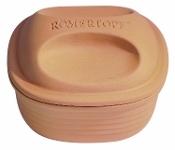 This edible bowl maker allows you to put your favorite filling inside, and enjoy.